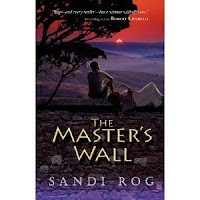 The Master's Wall by Sandi Rog is a delightful yet heart-gripping story of a young Hebrew slave, David, in the first century, and the love that grows from his boyhood for, Althea, the daughter of his cruel earthly master. It's a story that satisfies the young teenage reader as well as the adult man or woman. The fast paced and intriguing plot keeps you turning the pages from the start as David is intent on either escaping his enslavement or earning his freedom by acquiring the skills of a gladiator to entertain his Roman master. Love stories that start in childhood rarely draw me in, but this is one of the rare ones. Time after time, David finds opportunities to escape the villa just outside of Rome to go in search of his little sister. Yet, each time, his love for his master's daughter holds him back. Being the child of a cruel Roman man of power is not much better than being a slave, and David's heart wants to set Althea free as well as himself and his sister. At the same time he is guided by God to share his Christian faith--a faith that is despised and persecuted. Each time David whispers about Christ to another person he puts his life on the line. David's and Althea's life and love hang in the balance until the last page. Sandi Rog has written characters that come to life on the page. They sparkle with all the beauty and fractiousness of children and grow into adults that inspire me. 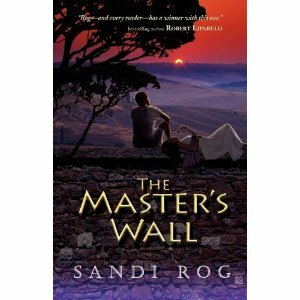 Click here on The Master's Wall if you'd like to order this book.